When I started traveling internationally, I had no idea that I would use my travel experiences to create JJ Cavendish, the main character in my latest novel, The Miracle Girl. I can’t pinpoint the moment when I first met JJ. But I can remember my first major international trip with my partner. 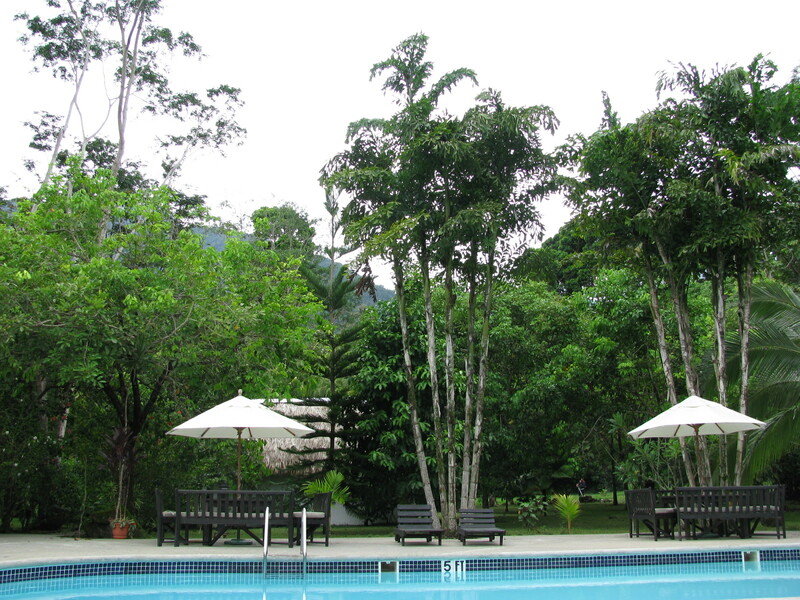 Back in 2007 we went to a resort located at the bottom of the Pico Bonito National Park in Honduras for a week. Actually, we were there for eight days, but we only planned for seven. Near the end of our trip, I was making arrangements for our ride to the airport and I was completely flummoxed when the concierge said we were staying an extra day. I read the itinerary wrong, which is awfully embarrassing considering I have a history degree. You’d think dates would come naturally to me. They don’t. Don’t ever ask me about birthdays, anniversaries, or holidays. I have Christmas and New Year’s memorized, but that’s about all. Oh I know my birth date, but if you ask me how old I am, I have to stop and think. Once I argued with a doctor about the current year. I was wrong. Thank goodness it wasn’t during a psych eval. When I heard the news from the concierge, at first I was excited to spend another day in paradise. Then I remembered our dog and cat. Our sitter had to leave the night I thought we were returning. This was bad. How’d you forget about me? Luckily I had access to the hotel’s computer and I started emailing our friends and neighbors. And then I ordered a couple of drinks. I met The Better Half at the pool to announce the news. Can you see why we were happy to stay an extra day? She was just as excited. Within an hour we had managed to make arrangements for one neighbor to watch Miles (dog) and Atticus (cat) for the night and for another neighbor to take Miles out during the day. Seriously, the Internet is amazing. And we had another day. It was on this day my partner was startled by a snake, which inspired a small snippet in The Miracle Girl. 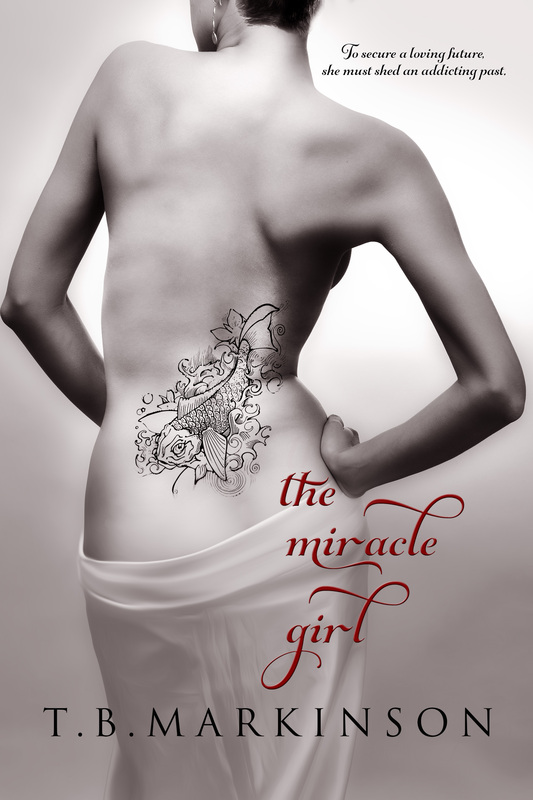 The Miracle Girl was released yesterday and so far it’s doing well. As of this morning, it was ranked number four on Hot New Releases for Lesbian Romance on Amazon. Newspaper publisher and world traveler JJ Cavendish continually feels pressured to live up to her Miracle Girl nickname. Not many people know she’s living a carefully crafted lie. She may not hide ties to the LGBT community, but she does hide past struggles with addiction. When the Colorado native is handpicked to take the helm at a dying Denver newspaper, she ends up reconnecting with her long lost love in this contemporary lesbian romance. Only there’s a catch. If JJ fires the most belligerent editor at the paper, she risks losing the love of her life. Mid-afternoon office romps abound in this romantic comedy while also focusing on what it takes for a newspaper to remain relevant in this age of social media. Must JJ lose everything in order to gain a life more fully her own? This entry was posted in Announcements and tagged Amazon Rankinging, Honduras, How New Releases, Pico Bonito National Park, T. B. Markinson, The Miracle Girl, Travel. Bookmark the permalink. I read this whole blog post, and I keep going back to “I have Christmas and New Year’s memorized”. Bahahahaha!!! That’s kind of how I feel sometimes. Anyway, congrats on another successful book release. You are such an amazing writer, and I have no doubt that this one will be at the top of the charts in no time :). Are you serious?!? That’s one day I could never forget :). She had zero clue about it except the gifts. She also asked how people got the sun to rise earlier when the time changed. Ok, she is definitely a person who would be fun to mess with! It’d be fun for a few minutes, but seriously, she didn’t get anything so I think the fun would wear off quickly. I felt bad for her. Totally clueless about being hopelessly clueless. Twist my arm and make me stay another day in paradise! Glad people were able to take care of your pets for you. When we lived in Boston we had a great crew who was always willing to help out with the boys. And we loved whisking their dogs over to our place to play with Miles. Sometimes it got crazy, but it was usually entertaining. I have my copy and well get onto it as soon as I’ve finished wading my way through the 1400 page monster I’m currently consuming. 1400 pages! What are you reading? I wish I could say it was some marvelous intelectual tomb but it’s a compendium of spy thrillers that are all loosly connected. haha poor pets giving you the look of shame. Good thing the internet is here, they got looked after and another day in paradise, win win. Well, Att gives me that look at least ten times a day. 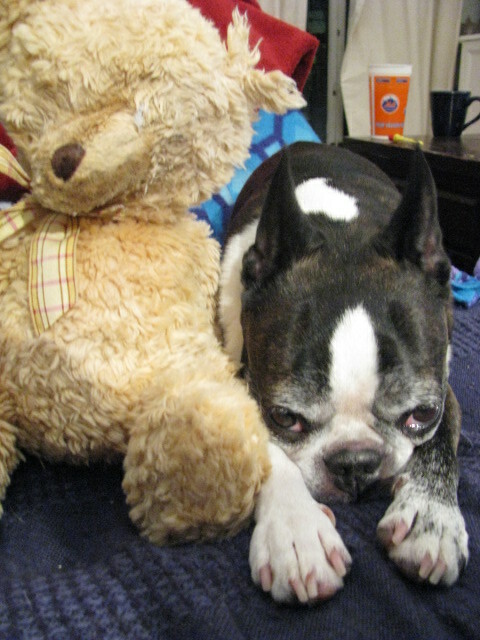 I really don’t impress him much. Miles is usually happy as long as he’s getting his way, which is 90% of the time. That pic of Atticus cracked me up. 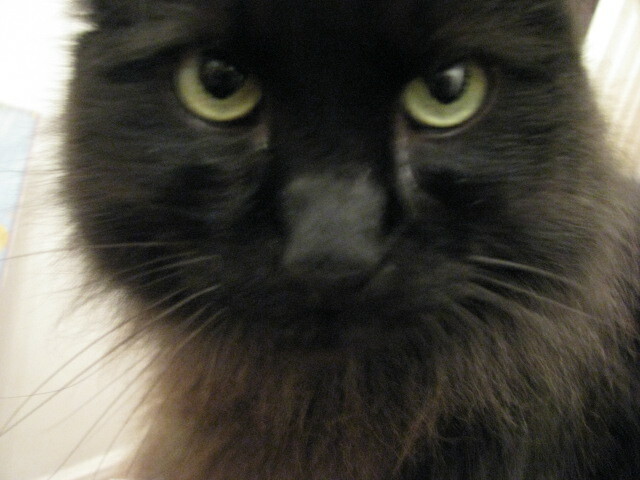 Such a typical cat look of total disdain. So awesome that Miracle Girl is doing well – congrats!! Oh Att has mastered the look. I feel so small in his presence. Can’t wait to dive into your new book! And don’t worry, after 21 most of us need a moment to calculate our age and then pause another moment to let the number really sink in 😜. It is odd, now that I’m 41 I have a hard time processing the number. Not that I feel old, but I’m confused because I think I should feel older, but I still feel like I’m in my 20s, minus some aches and pains. I remember when I was a kid and I thought 21 was so old. Love the pictures and yes, the internet has brought all of us that much closer and makes communication way more convenient. It’s hard to imagine living without it, even though I did for many years. Very nice pictures, T.B. It looks like a fun place to be. I think that The Miracle Girl will be the fifth book of yours I will have read. A Woman Lost remains my favorite. I don’t give many books with six stars! It’s hard to believe that I’ve written five. I hope you enjoy this one. Thanks Ernie! Love the pictures! Looks like a great place to visit! We have many fond memories from that trip. Love hearing about how travel inspires people in other aspects of their lives and your particular story is so charming! Hopefully that’s not how Atticus and Miles looked when you got home. It takes Att a few hours to get over us abandoning him. Miles is thrilled to see us right away. I really can’t remember how we agreed on Honduras. I know price was a big factor, but there had to be another reason. It was beautiful and the people were so friendly. Lovely that your travel helps other people. I think you would love Honduras. The following year we went to Guatemala, another beautiful country (as you know) in Central America. We need to get back there and explore a bit more. Yeah Guat is pretty awesome very tropical up north. I love the seeing the ruins and visiting small towns. I also have to stop and think about my age. I don’t know how I’d travel without the internet and my phone. My biggest thing is using mapping apps and GPS. I don’t heavily use social media while I’m gone, but I can check on things when I’m in my hotel room. I also email, and text, many times about important things. I try to unplug completely when on holiday, but in emergencies it helps to be able to email people and use GPS. I was in Trieste, Italy last year and got hopelessly lost. I used my phone, but when I returned to London, my phone thought I was still in Italy and when I would look at a map, it would tell me it’d take over 48 hours to walk to get bread. It took a day for it readjust completely. omg this brought back a memory I try to repress haha! When I was 13 my fam and I went to hawaii. We hired someone out of a newspaper to take care of our cat (dumbest thing we’ve ever done) …we should have gotten a neighbor or someone we knew. Anyway, we found out years later this person was having irresponsible teens come to take care of the cats she was hired to take care of. Long story short they lost our key! We were still going to be in Hawaii for two more days. We were what felt like millions of miles from my sweet baby girl, and I was sick with panic! We had a key fed exed and it worked out in the end, but I STILL have nightmares about it. Granted I know this is totally diff to what happened with you guys but omg, the thought of my cat being alone for even one night makes me feel sick lol. From then on we always had my former babysitter watch my Pudding when we went on trips! Much better as we trusted her implicitly! I would have been sick with worry as well. So glad it worked out, but it’s such an unsettling feeling to think our babies are in trouble and you can’t do anything because you’re millions of miles away. I’m such a live-by-the-calendar person, but I think I’d be quite happy to stay and extra day where you were. It looks so beautiful from the pictures. I’ve gotten a bit better since this trip, but we still have some sort of issue that pops up with each trip. Murphy’s Law and travel seem to go hand in hand. Makes for some good stories after we recover. That looks like an amazing place. And it’s great that you have friends and neighbors to help you out in a pinch. We just moved into our house and after we left, I realized nobody we knew had keys to get in if they needed to! That’s not a good thing. We’re going to change all our locks so they have the same key, then give an extra key to my parents so at least someone here will have them. During times like that, a smart lock would help. You could unlock your doors from wherever you are, then lock them back once the pets had been fed! Beautiful pictures – sounds like such an amazing trip! Congratulations on your book and the amazing rank! Oh, NO! They “made” you stay another day??? (The horrors of it all!) Reminds me of Br’er Rabbit’s famous line: “Pleeeeease don’t throw me in the briar patch!” I’m glad your neighbors were able to take care of your four-legged furry kids so you could enjoy that extra day in paradise. How did we survive before the internet? The cell phone,even? I would have done anything to stay longer in that place, so congratulations on fixing things so you could. And, yes, those critters are pissed. Take catnip and a chew toy home with you. A lovely and painful surprise all in one. I wouldn’t complain about an extended vacation. Congrats on your new book! You have me laughing here with your recollections about dates. Love it that you know the dates of Christmas and New Year 🙂 Nice photos of the pets. LOL – Sounds like something that could happen to me. The place is gorgeous, though! Hope your book is still doing well. Really cool moment. I had the opposite happen. I was stuck in a city I was hating and found out I was leaving a day earlier than expected. 🙂 Congrats on your success with the new release. That’s awesome! it’s so hard to see the positives of a negative surprise sometimes, but looking back at the sequence of events that leads us to better things, we found a way and see the why and it’s so worth it! Sometimes I think the only purpose for real life is to inspire our writing. Sometimes. 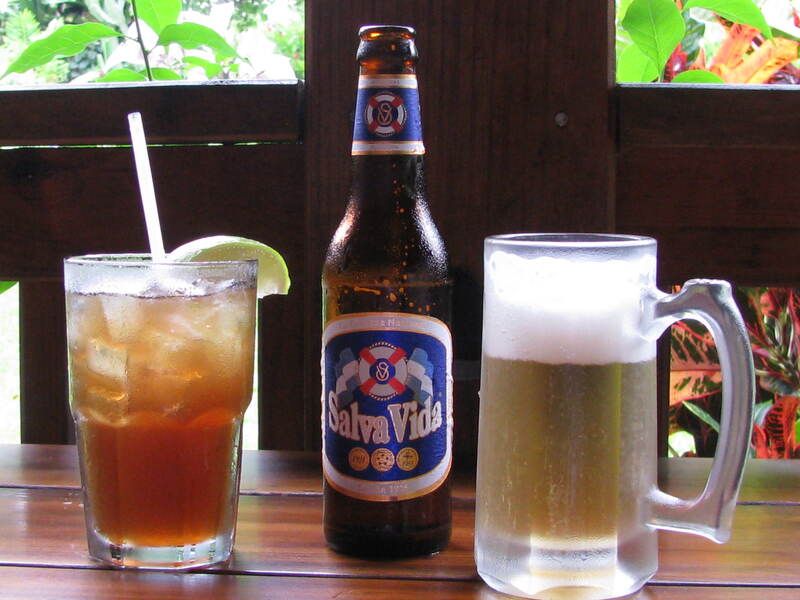 It’s been a while since I’ve been to Honduras, a country I love, but none of the places I stayed look liked your resort but I had a lot of fun there and drank a few bottles of Salva Vida. Traveling and the unexpected wonderfully informs our writing.